Blogger has introduced another new and very useful feature - custom permalinks for blogger posts. If you can maximize and edit your permalink well, it can help you improve in browser and search engines. Now you can use SEO friendly custom URL for blogger posts. And with this, it easier now to customize your permalinks and you can benefit a lot from it. Also most importantly there is no 39 character limit with this new blogger custom permalinks. Blogger platform users can now write custom URLs for their posts using Blogger in draft. 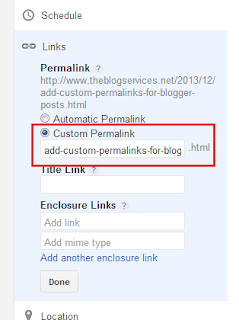 This option will let you create custom permalinks for your blogger posts. By customizing your permalink, you can relax afterwards and at peace with your URL. When the problem with your blog has something to do with your URL, you cannot just take this for granted. This is the reason why we advise as much as possible edit your permalink. Normally, when you find it hard to edit your permalink, you will not to do this. This is the reason why this post is made. It was meant to remind you to do this. Permalink or "permanent link" in layman terms is the URL that appears in your browser address bar. Earlier days,your blog post URL couldn't be set before publishing your blog post. 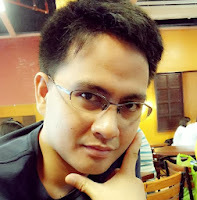 Blogger automatically generate URL for you from your post title. Most times our title have much more characters (40 and above) which automated URL could't include .As all you know URL play a vital role in Google Search Engine, so that to get good keyword included URL for best SEO. But some day before, Google introduced new option to create Custom URL in New blogger interface. That means,before publishing the post itself ,you can see and edit the post URL according to your wish. http://YOURBLOG.blogspot.com/2012/07/customURL.html , The red colored bolded area is the portion of the URL that is customizable. Step 1. Login to your Blogger account. And click on 'Create new Post' button (Pencil signed ) to open your Blog Post Editor. Step 2.At right side of Post Editor, Click on Permalink button. Step 3.Add your URL in provided text field. Step 4. After customizing URL, Click on Done Button and Publish your post.